In an interview on Monday (February 11), Page, who stars in the upcoming Netflix series The Umbrella Academy, also discussed the progress of LGBT+ rights. 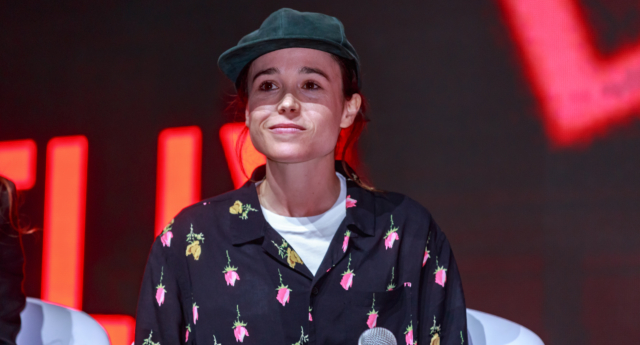 The Juno star, who married dancer Emma Portner in January 2018, told BBC Radio 5 Live’s Must Watch podcast: “We have so far to go. She continued: “Of course there’s been so much progress, wonderful progress. I’m married, for example. “But a lot of the most marginalised people in the community get left behind, and a big part of that reason is there’s barely any LGBTQ representation. Has it got better? For sure. The 31-year-old actor continued: “It’s a debate whether it’s okay or not to have a religious liberty law that would give you the right to deny an LGBTQ person service – that’s not a debate. Page recently lashed out at fellow actor Chris Pratt for attending an “infamously anti-LGBTQ” church. She criticised Pratt on Twitter after he spoke on Thursday’s (February 7) episode of The Late Show With Stephen Colbert about being “inspired” by his pastor to perform the 21-day Bible-derived Daniel fast. Pratt attends Zoe Church, which, according to The New York Times, has links with Hillsong Church. Hillsong Church has previously been criticised for its treatment of the LGBT+ community.